Dr. Kilislian received her DMD from Tufts university school of dental medicine located in Boston MA in 1995. Two years later she completed a specialist degree in endodontics. In 1997 Dr. Kilislian joined a large group of Specialists in Endodontics located in Toronto’s financial district as well as Yorkville. Dr. Kilislians belief is that all patients have a right to specialized endodontic treatment regardless of their financial situation. Dr. Kilislian treats all patients including government assistance patients, patients with disabilities and patients requiring various forms of sedation. 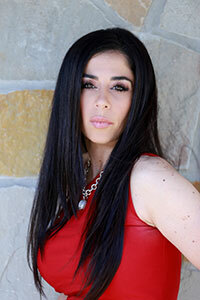 She is the clinical director of the practice and has multiple associates in her practices. Dr. Kilislian is available 24 hours a day to answer any patient concerns or dental emergency. Dr. Kilislian lectures on advances in endodontic surgery to various members of the dental community and does accept referrals from other endodontists. Patients are free to self -refer in the event they feel they may benefit from endodontic treatment or an endodontic consultation. Dr. Kilislians main interests are in research related to saving the otherwise unsalvageable tooth. Dr. Lipton received his Postgraduate Endodontic Specialty certificate from Tufts University School of Dental Medicine, Division of Advanced Education, in Boston, Massachusetts, in 1980. He then returned to Toronto to begin his private endodontic practice as well as teaching Endodontics at the University of Toronto. 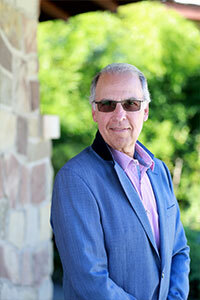 Over the past 26 years Dr. Lipton has served as an executive of the North Toronto Dental Society. He was most recently elected to the Board of the Canadian Academy of Endodontics on September 18, 2016 and will serve as President in 2020. To ensure he is on the top of his game, Dr. Lipton continues to be a long-standing member of the Ontario Society of Endodontists, the American Association of Endodontists, the Ontario Dental Association as well as serve on the Winter Clinic committee of the Toronto Academy of Dentistry Board of Directors. Following many years on the Board of the Toronto Academy of Dentistry he served as President of the Toronto Academy of Dentistry from 2004-2005; was conferred as Fellow of the Academy of Dentistry International in 2005 and served on the Executive of Alpha Omega Dental Fraternity for many years. Dr. Elizabeth Geisler received her DDS with Honours from the University of Toronto in 2013. She then went on and completed a 1-year, hospital-based general practice residency in a Level I Trauma Center in New York. Dr. Geisler then moved to Fort Lauderdale, Florida where she completed her Endodontic training at Nova Southeastern University. Dr. Geisler is a Fellow of the Royal College of Dentists of Canada and is also in the process of becoming a Diplomate of the American Board of Endodontics. Sarah Barradas is a graduate of Queen’s University (double major Life Sciences and Physical Education). 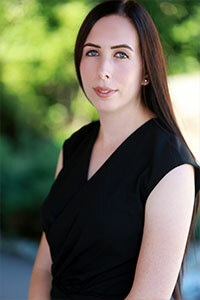 Sarah worked as a consultant for dental equipment and practice software companies before joining Willowdale Dental Group. 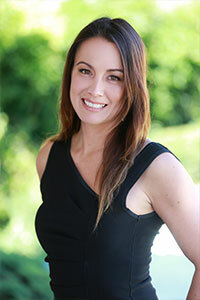 Sarah is also a registered restorative dental hygienist. In her role as treatment coordinator she provides information and assistance to patients making decisions about complex treatment plans. She is also a co-education director of the non-profit Dr. Kilislian School for Excellence in Dental Continuing Education. As a teenager, Sarah was a captain of a national woman’s soccer team and represented Canada in the Pan American games. A true team player, Sarah has an open door management philosophy and is keen on helping patients get the best dental outcomes. Thank you visiting Willowdale Endodontics, a dental practice dedicated exclusively to endodontic (root canal) care. We look forward to being of service to you. Our team, led by endodontic specialist Dr. Kilislian, includes an experienced endodontic team. We provide professional care in a friendly, comfortable environment. Thank you for visiting our website. We look forward to looking after yours endodontic needs.